Imagine using various types of smart home connected devices to help increase the security levels against would be intruders? In addition to covering the integration of alarm and fire detection systems with your smartphone App, this book also deals with adding smart air quality control, water and freeze alert capabilities to your home. 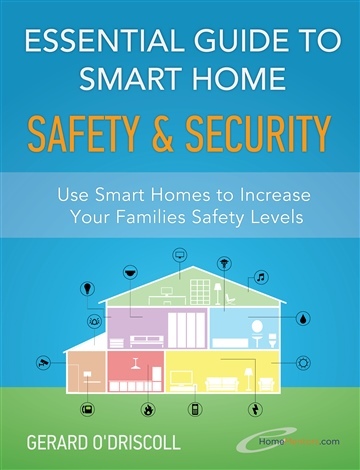 Written by international smart home automation expert and bestselling author, Gerard O’Driscoll, this book includes technical illustrations, examples of how smart homes are helping people, insights from Gerard and details of an awesome monthly giveaway. Bonus also included - Order right now and you’ll also receive a special discount coupon for launched a course titled Home Automation for Beginners: Create Your Own Smart Home.